The term, “contractor”, usually refers to people or organisations who are in charge of different aspects of construction. For instance, you have contractors who are responsible for the construction while you have other contractors in charge of remodelling and demolition. Before you get contractors on board, you must sign an official contract with them. Now these contracts are legally binding documents. 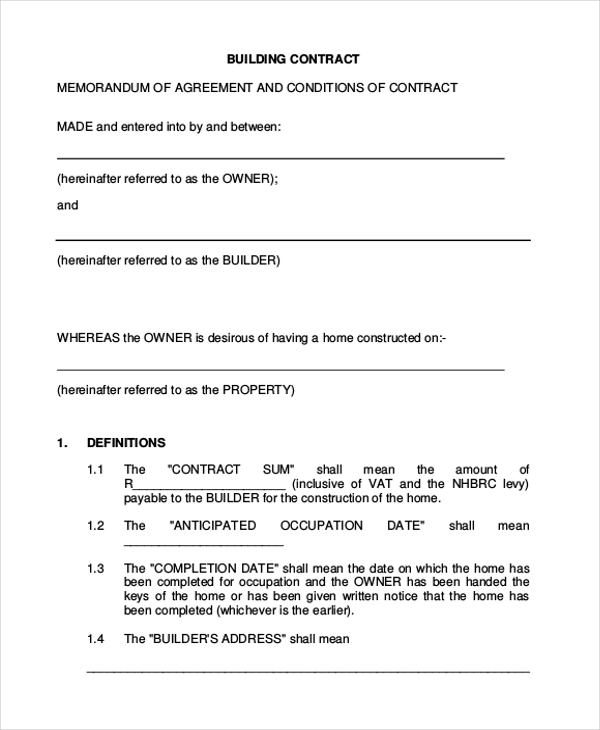 To get hold of such contracts, you can take a look at these Contractor Forms. 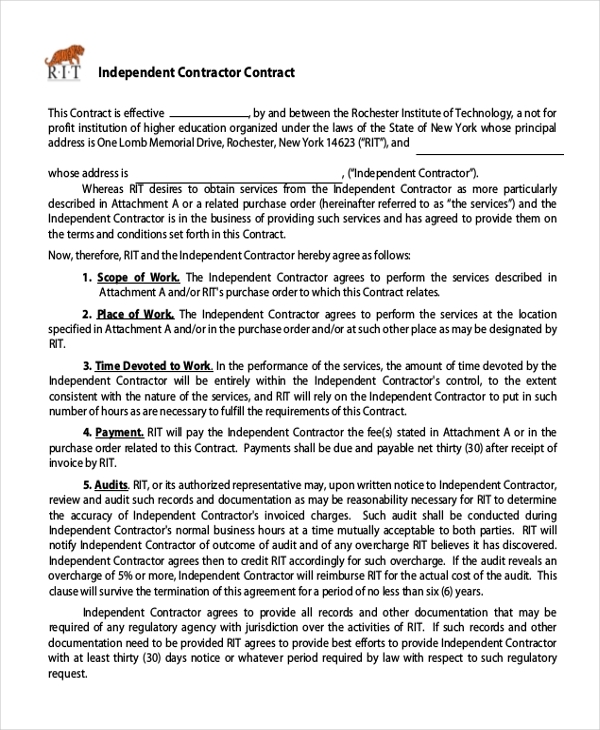 These contractor contract forms have been specially designed for independent contractors who are planning to take on new projects. These templates are well designed as well. Plus, they come in pdf formats. These contractor contract forms are pretty general in nature and can be used for a variety of different purposes. That makes the templates pretty versatile and multipurpose in nature as well. 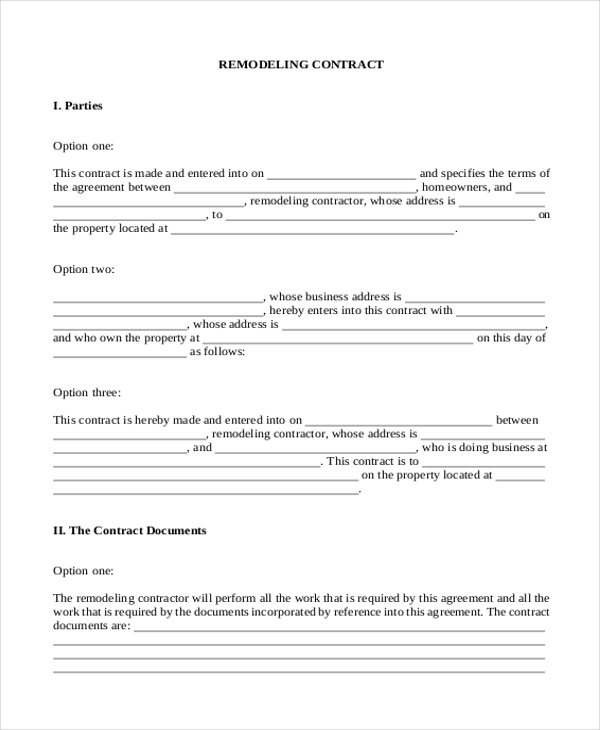 This contractor contract form may be used as a contract for building construction. It deals with the different aspects of construction as well. Also, the template here may be used in different ways as well. 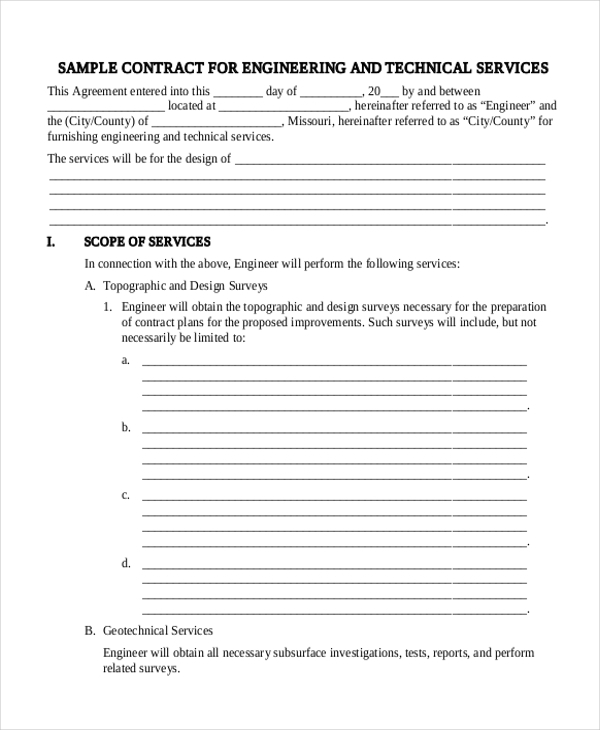 This contractor contract form has been specially designed for construction purposes. It comes in a neat pdf format. That not only gives the contractor invoice template a neat and professional layout but also makes it organised. 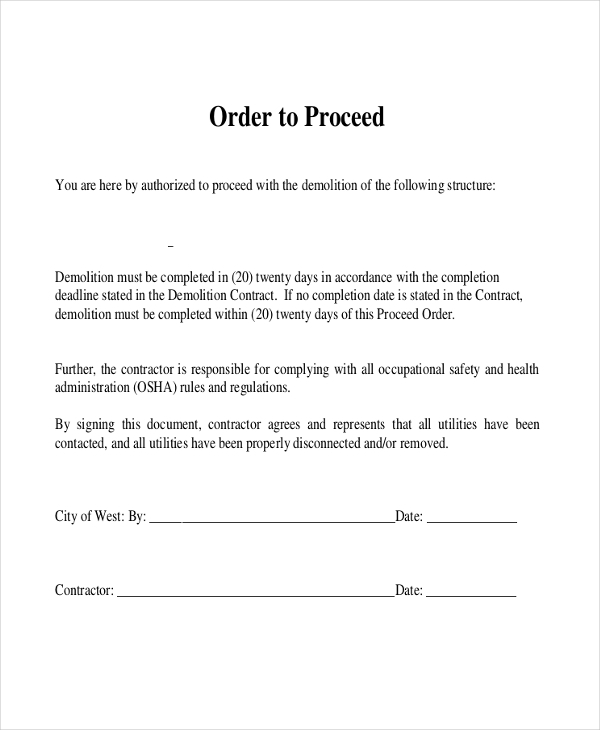 This contractor contract form may only be used by contractors in charge of demolition when it comes to construction. It is neat and well designed. Plus, it is attractive as well. Construction engineering is a specialised field and contractors working in this field would require contracts to work. Thus, you may take a look at this contractor contract template present here. Contractors are often placed in charge of remodeling as well. That actually requires a different kind of contract. To create such a contract, you can take a look at this remodelling contract. 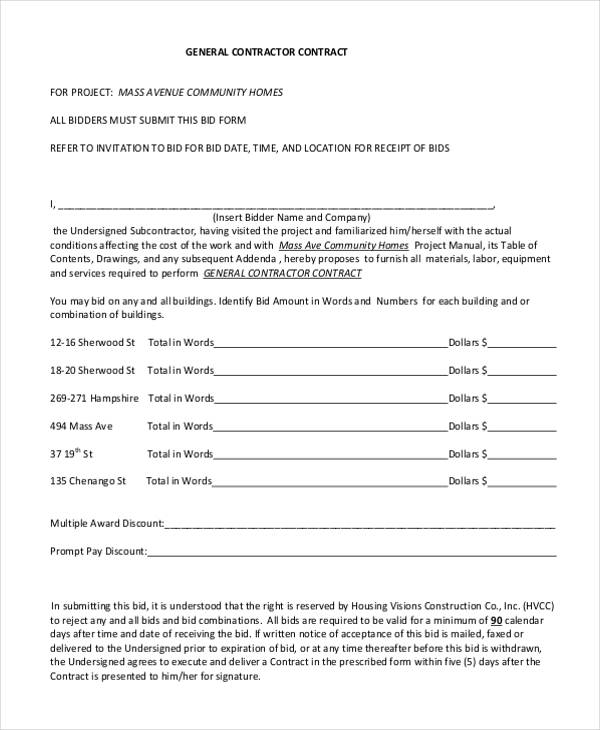 Who Can Use these Contractor Contract Forms? The contractor contract forms are mainly used by two groups of people. One, they may be used by people who are signing agreements with various contractors. Two, they may be used by the contractor themselves to finalise various agreements. There can be various kinds of contracts, based on kind of work being carried out. For example, contractors in charge of the demolition of construction would be able to use the demolition contract forms. Similarly, the contractor contract forms that you see here have been distinguished on the basis of purpose. Irrespective of who uses it, the terms and conditions usually remain the same. 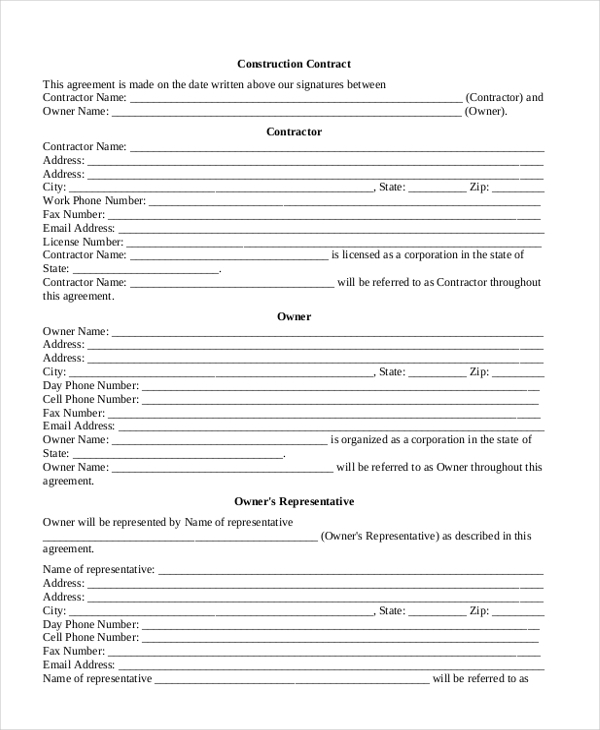 You may also see Contractor Agreement Forms. How Can You Use the Contractor Contract Form? A contract of any kind is a legally binding document. It contains all the terms and conditions that have been agreed upon by members of both parties. However, these terms and conditions usually remain the same for most contracts. Thus, the contract forms that you see here abide by the standard format of such contracts. Hence, while using them, you really wouldn’t have to worry about making a mistake with them. Also, you could use the pdf documents that you see here as splendid samples of what contracts should look like. You can follow the example provided here to the last detail. You can also see Independent Contractor Forms. The templates would save you a whole lot of time and money and would reduce hassle. The templates look really formal and have a professional tone associated with them. The format has been adhered to. So you wouldn’t have to worry about missing anything out. Plus, the templates that you see here are exceptionally easy to use as well. So anyone should be able to handle the templates with ease. The contractor contract forms or contractor release forms that you see here come in a variety of different types. For instance, contractors like independent contractors or demolition and construction contractors would be able to use the templates. These templates already contain the established format of such contracts and would definitely come in handy too.